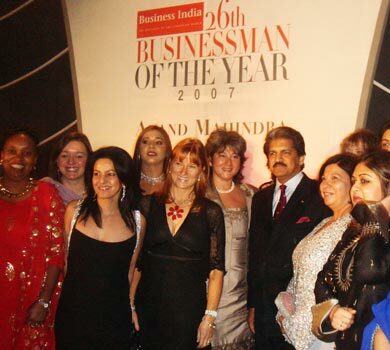 Kavita joined a Women’s UK delegation to Mumbai to strengthen business ties across the two nations. The packed programme included visits to a number of charities and Corporates in India, including the TATA group. Kavita found the charity visits incredibly inspiring; the dedication of the founders of the charities was selfless as was their philanthropy. The British High Commission were also able to gain back door access for the delegation to the world famous Yash Raj Bollywood studios, meeting both Yash Raj Chopra, the founder of the studios, as well as India’s leading actor, Sharukh Khan. The grand finale was an invitation to the “Businessman of the Year” Awards. This was attended by over 1000 top movers and shakers from across the Globe.